The heritable interest of a retail premises at 499 Lawnmarket, in the heart of Edinburgh’s Old Town on the Royal Mile has been sold to a private investor for an unverified Scottish record of £3,871 per square foot (£41,666 per square metre) by DM Hall, one of Scotland’s largest independent firms of chartered surveyors, acting on behalf of the vendors. 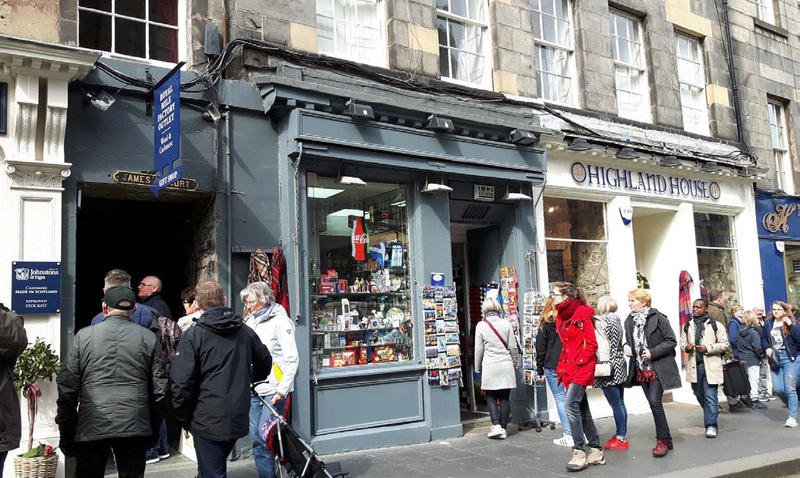 The 258 square feet premises, which currently operates as a newsagent, sits close by the global tourist attraction of Edinburgh Castle. Its current occupier, J&S, pays an annual rent of £18,100 on a full repairing and insuring lease due to expire in April 2034. Ross Wilson, DM Hall’s Head of Agency for the East of Scotland, said: “We believe, subject to final confirmation, that this investment sale has attracted the highest price per square foot ever paid for a commercial property in Scotland. “With a footfall on the Royal Mile of four million plus people a year and a world heritage site like Edinburgh Castle, which has been a focal point for over one thousand years virtually next door, it is safe to say that this acquisition represents an exceptionally attractive long-term investment.